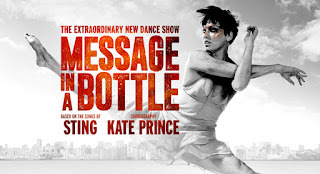 Sadler's Wells are in collaboration with Universal Music to present a new dance production entitled Message In A Bottle set to the music of Sting, with choreography by Kate Prince. 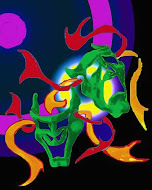 The show will combine hip-hop dance and music to tell a story of three parted siblings who go on their own adventures. It will include the songs "Every Breath You Take", "Roxanne", "Every Little Thing She Does Is Magic" and "Fields of Gold" composed by Sting and feature members of Prince's company ZooNation, with national auditions being held to find the full cast. Prince, whose credits include 2018 musical Sylvia and choreography for Everybody's Talking About Jamie, said: I mentioned the idea in passing to Alistair Spalding, who has been supporting my career and ZooNation for 15 years. Pretty soon I found myself nervously entering the lobby of a swanky London hotel to pitch the idea to Sting himself. Much to my complete surprise but complete delight, it is actually happening! Sting said: It's an intriguing idea to align my songs and music with the work of a successful and highly esteemed choreographer of Kate's standing. I witnessed one of the first workshops and was very excited by the potential.It's always interesting when someone from another field offers a fresh and unexpected perspective on your work and I'm so looking forward to seeing the piece. 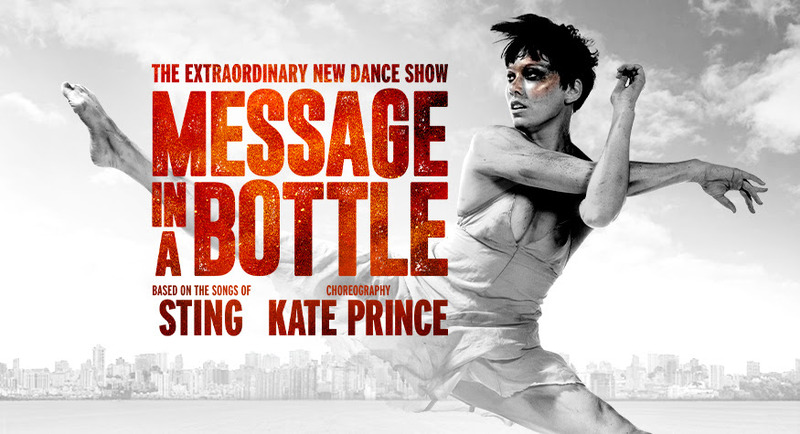 Message In A Bottle is being co-produced with the Birmingham Hippodrome and Salford Lowry premiering at the Peacock Theatre on 6th February 2020 and running until 21 March before embarking on a UK and international tour.